Are you considering buying a home this year, but don’t know where to begin? 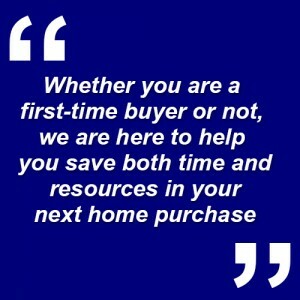 As a first-time home buyer, you need a professional to help guide you in the transition to homeownership. We have seen plenty of first-time buyers walk through our doors, and today we are going to cover a few helpful tips for you to consider when purchasing your next home. If you plan on living in your home for a long time, you need to make sure that this house will give your family enough space. If you only plan on living in the home a few years, you want to know who your market is for resale. Buying a home is a personal and emotional process, so make a checklist of both your “must-haves” and your “would-be-nice-to-haves.” Save your list, and share it with your buyer specialist. Every time you visit a house, review the checklist and take photographs so the homes don’t run together in your mind. When budgeting for your house, don’t stop with the principal payment and taxes. Don’t forget about utilities, electric, the cost of commuting, and upgrades. After you budget for these expenses, see if you still feel comfortable with the price. If you don’t like the way a home is staged, visualize your ideal layout. Pay more attention to the structure itself than what is actually in the home. 5. Be sure to read your contract before you sign it: A house is probably one of the largest purchases you will ever make in your life, so make sure you understand the terms of your contract. If you don’t understand any of the terms, just ask us. One of the many reasons we are here for you! 6. Ask for the homeowner’s association contract before you make a decision: If you are buying a house that is part of an HOA, it is absolutely essential to read the HOA contract before you do anything else. You will probably discover some specifics that you weren’t expecting. Details are so important! Whether you are a first-time buyer or not, we are here to help you save both time and resources in your next home purchase. If you have any questions, feel free to give us a call or send us a quick email. We look forward to hearing from you soon!